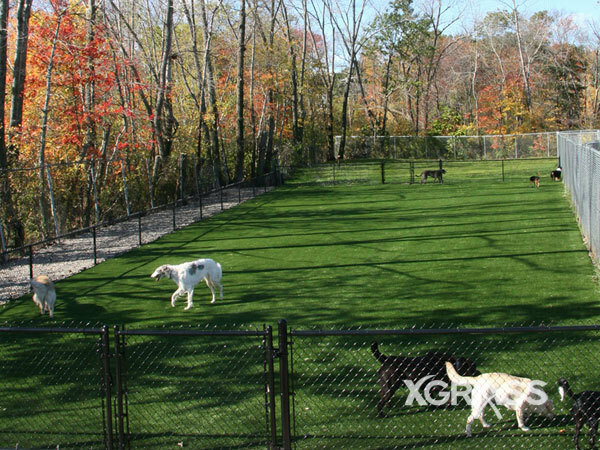 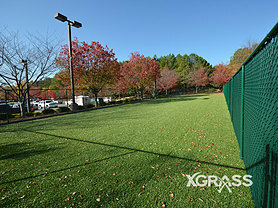 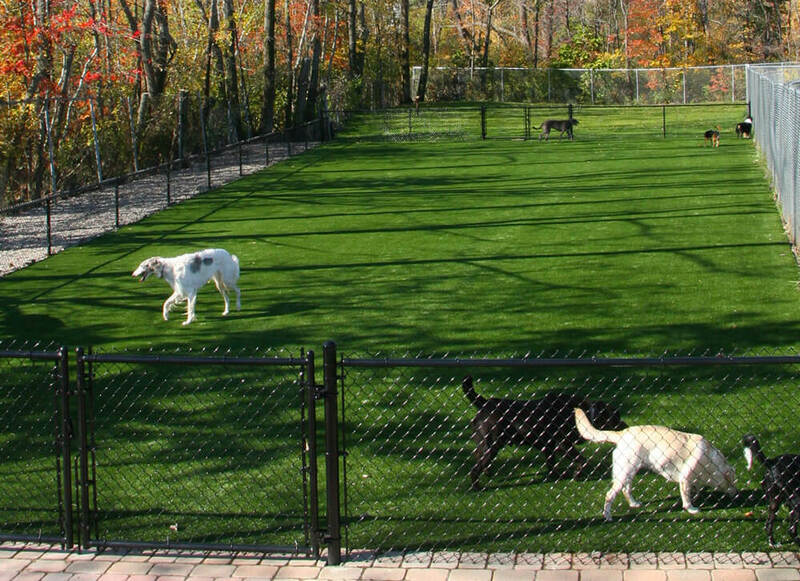 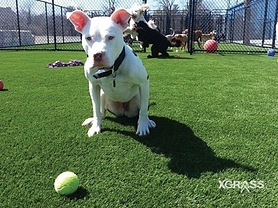 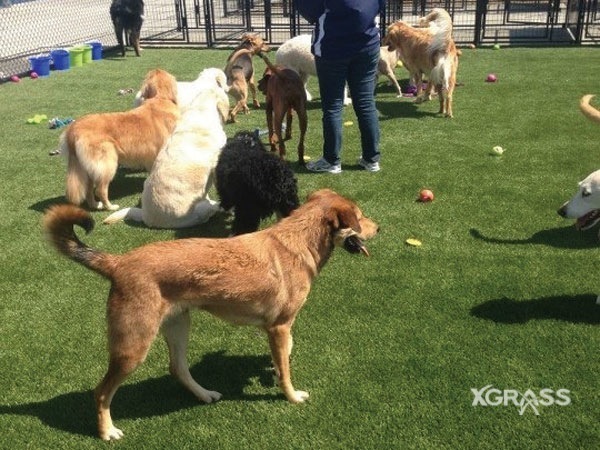 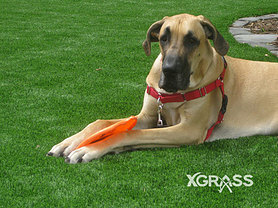 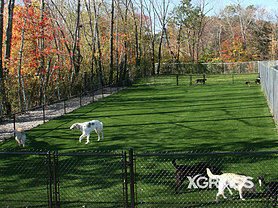 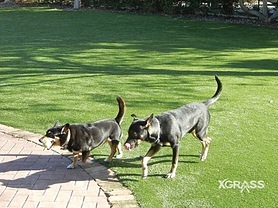 Dogs can be tough on natural grass, pounding it to dirt or mud, but XGrass Pet Turf can take it. It is designed to provide a mud-free playing surface that stays green all year long with limited maintenance and no harmful chemicals. With XGrass Pet Turf, mud, puddles and pesticides are a thing of the past. 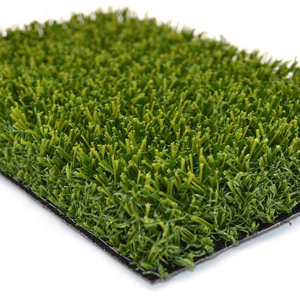 It requires no water and is virtually maintenance-free, saving you time, money and hassle and making it one of the most environmentally-friendly landscaping solutions available. 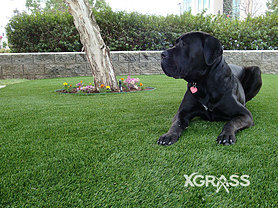 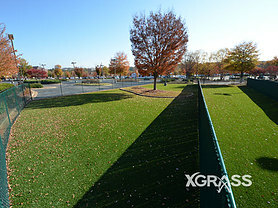 Construction of our pet turf system features our XGrass Pet Turf with TruFlo backing over our drain tile. 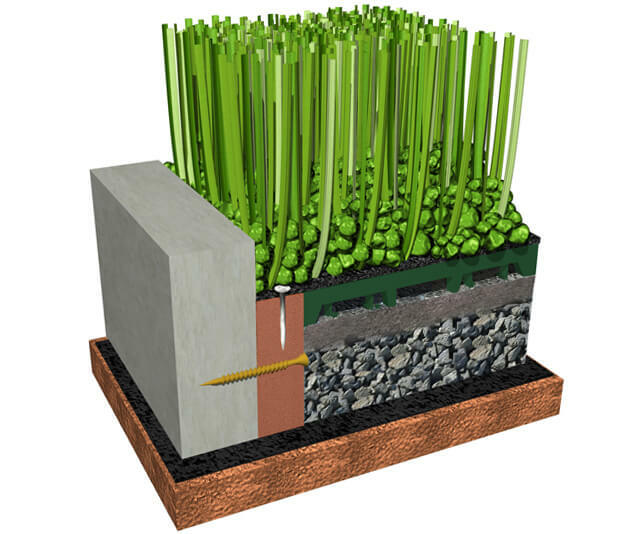 This can be installed on either concrete or a clean aggregate stone base for maximum drainage. When installed with a concrete border, the turf is nailed or stapled into pressure treated support boards and then infilled to eliminate any movement or shifting of the turf.